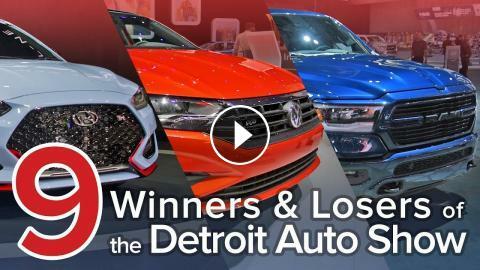 Certainly, you’ve seen our exhaustive coverage of the North American International Auto Show in Detroit. There were big reveals this year and small ones, important unveilings and others we’ve already forgotten about. Making sense of this mess, the AutoGuide.com staff has picked some winners and losers from Hyundai, Ford, Ram, Volkswagen, Chevrolet, Mercedes-AMG and more. Oh, and we’ve even thrown a few undecideds in for good measure.